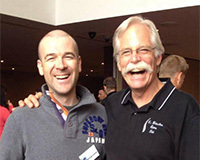 Michael initially began his manual therapy journey almost ten years ago qualifying as an ITEC Sports Massage therapist. 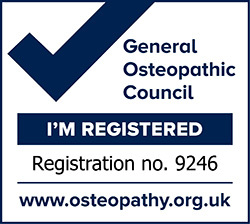 This provided a platform for him to ply his trade before proceeding on a five year degree programme at The College of Osteopaths’ Staffordshire University. Prior to Michaels’ studies, he was a keen participant in Adventure Racing throughout Ireland which involves running, mountain biking and kayaking. 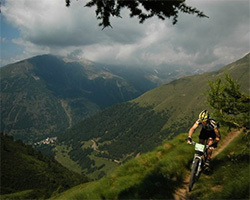 These events helped Michael to develop a love for endurance events from ultra marathon races to Transalp mountain bike stage races (an 8 day stage race traversing the Alps encompassing Germany, Austria, Switzerland and finishing on the Southern slopes of Lake Garda in Italy). Michael fully knows the potential for injury and rehabilitation and uses Osteopathy to help people from all walks of life but has a particular passion to help athletes achieve their best physical performance and remain injury free. 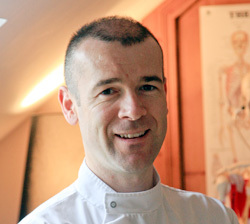 Throughout his career, Michael has worked with National Elite Irish Tennis players, the current Irish Female National 50 km Ultra Marathon and Connemara Marathon Winner, All Ireland Club Championship Captain and players, European and World Champion Powerlifters and some of the most elite rugby players on the planet including 2 time Rugby World Cup Winner and voted All Black player of the Year 2015, Ma’a Nonu. Michael has also a special interest in cycling injury and rehabilitation and has studied with the best in the business including former head Physiotherapist Rob Brown from Orica Greenedge and Dan Guillemette, Lead Physiotherapist from Team Sky. This allows him to bring a unique blend of traditional Osteopathy with a modern rehabilitation and treatment approach to everyone including amateur and professional athletes. Michael is hoping to embark on a Masters Degree in Sports and Exercise Medicine shortly as well as continuing to study with renowned global specialists such as Dr. Stuart McGill and Prof. Pavel Kolar.